Today I was part of the beginning of a reconciliation process with a group of ladies. In reflection I thought about how the clean-up can sometimes be dirty (please take note of the word choice here — not nasty, not impossible, not filthy…). Then an image came to mind. 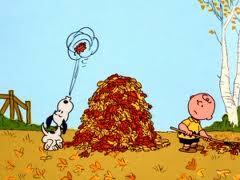 Whether you do it or have someone else do it, the autumn season brings the task of raking up leaves. The best time to rake leaves is a day without any kind of wind, but autumn is a breezy season. And right when there’s a nice, healthy pile of leaves and the yard looks clean and green, in comes a wind that by itself feels good but scatters the leaves. Then, the worker spends more energy trying to beat the wind. So the work gets done, but not without some residual raking. The Point: This is what reconciliation is like. We want to meet at a certain place, and provide guidelines and conditions. We want the “right” environment for the discussion. We try to set up all the right things. But, repentance and reconciliation and restoration are not pretty at the onset. There’s got to be a gathering of feelings, facts, memories, personal truths, opinions, judgments, misinformation, gossip, bad seed sown, past references, and more before beauty arises from the ashes. In this season, the shifting winds are coming so fast that we just have to (say this with me) ADJUST. Solomon said that we won’t sow if we regard the wind (Ecclesiastes 11:4). He said that just like we don’t know the path of the wind, we really don’t know what God is up to behind the scenes (verse 5). The Encouragement: Just move ahead with the scheduled attempt to reconcile — you with another, you with a group, you with yourself, you with your current situation, you with your faith, you with your hope, you with your plans/goals, and so on. Do not allow the refreshing seasonal winds distract you into another cycle of excuses and complacency. Let them energize you for the inevitable — truth in love. Keep raking until it’s time to gather all those leaves into the trash bag for discarding. Keep raking — get every leaf — so your yard (heart) can be clean.